For 2011 The Root set out to identify the most influential African Americans between 25 and 45 years of age. They defined influence broadly to include anyone who is shaping our daily conversations with work that matters. To identify and rank The Root 100, they developed a formula that defines influence as the marriage of reach and substance. Broadly, the Root defined reach as how many people this person touches through his or her work. For substance, the editorial team scored each person based on how much he or she enriched our lives and made the world a more interesting, fun, beautiful or just place. 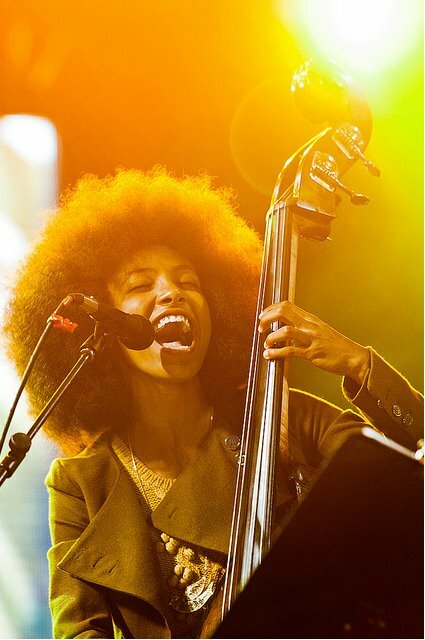 Grammy® Award winner Esperanza Spalding makes the list at #24, a list were we can also find musical icons as Beyonce Knowles, Kayne West and John Legend among others.